Swatch Corporate Typeface (Swatch CT) is a contemporary multilingual typeface covering all Western and Middle Eastern languages used in countries where Swatch™ is present. Swatch CT will be used from all Swatch branches, dealers, resellers and manufactures. In 2010, NORM (Dimitri Bruni, Manuel Krebs & Ludovic Varone) was commissioned to create the Latin corporate typeface for the Swiss wristwatch manufacturer Swatch. 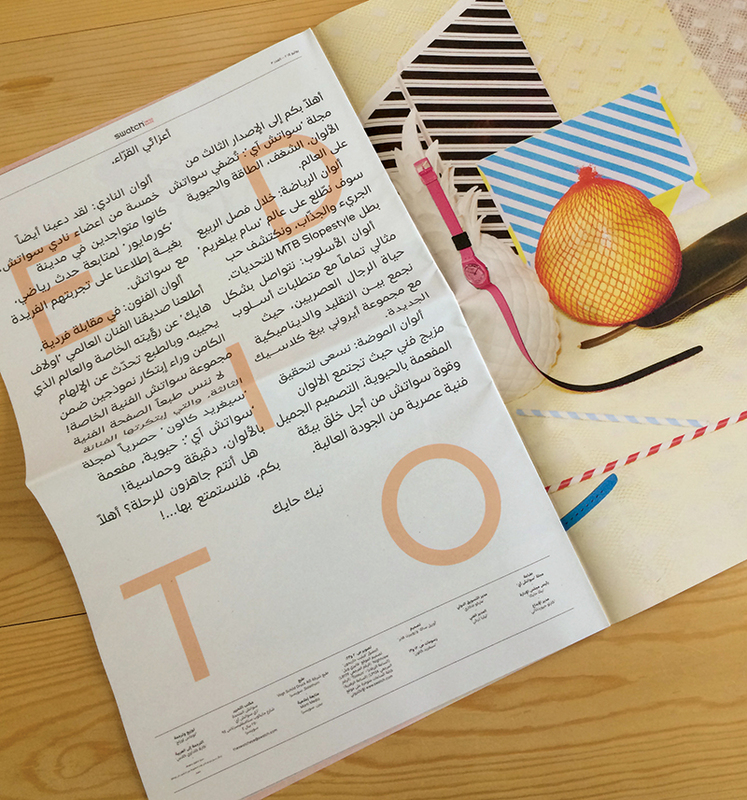 Norm, which is based in Zurich (Switzerland), designs and publishes books and typefaces, including self-commissioned research in the field of type and graphic design. 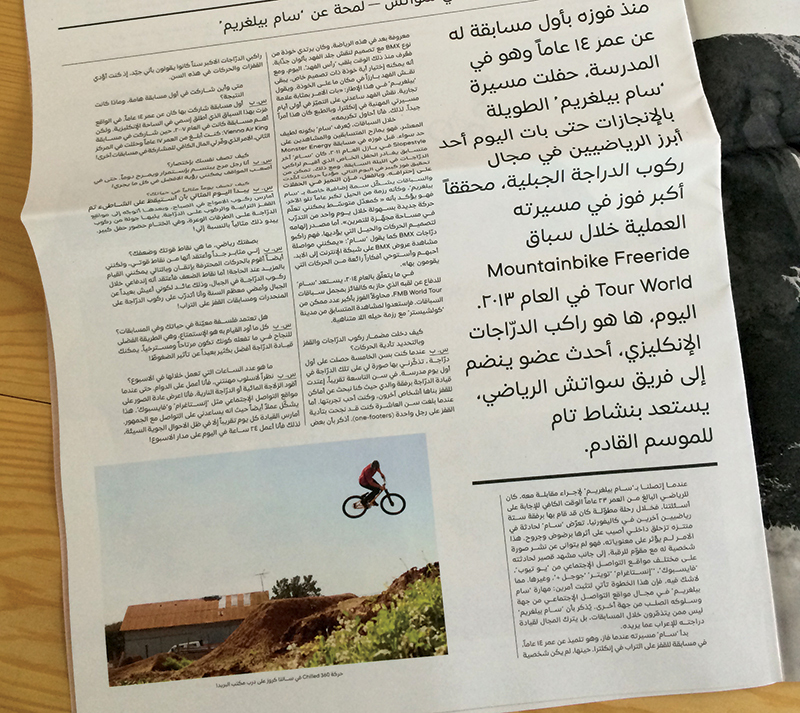 In 2013, NORM asked Pascal Zoghbi from 29Letters to collaborate on developing the extended Arabic character set for Swatch CT to allow for a consistent and unique corporate identity for Swatch in the Middle East. 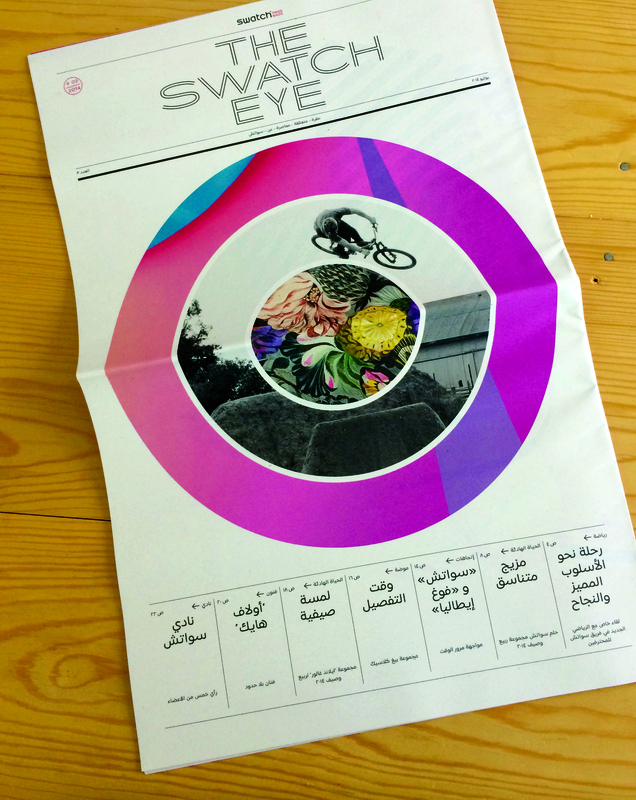 THE SWATCH EYE Magazine Arabic edition. Designed by Aurele Sack at Swatch™..
Pascal Zoghbi designed the Arabic glyphs to complement the visual identity of the Latin glyphs in Swatch CT while retaining the properties of the Arabic script. 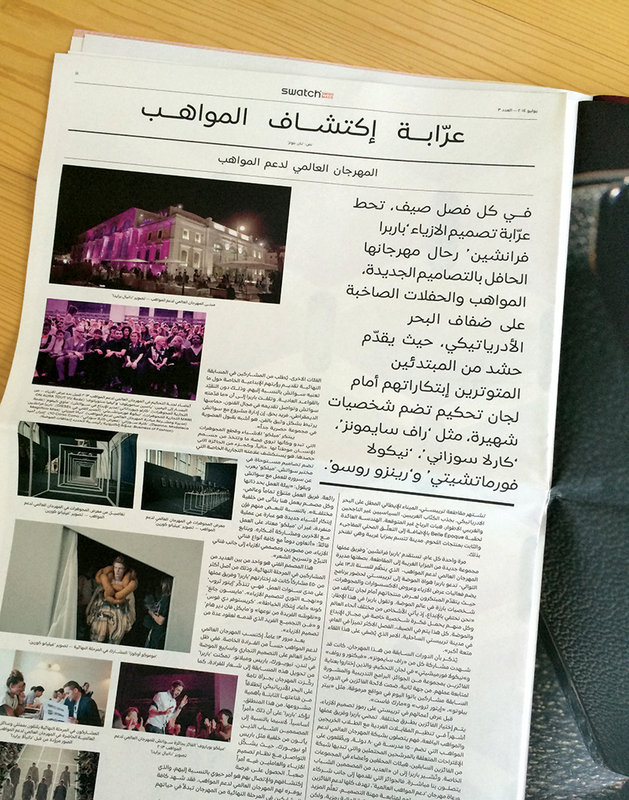 Since the Latin glyphs were based on the sans serif style, Pascal created a simplified Naskh, low-contrast Arabic style. The Arabic letters were designed as counterparts to the Latin letters with equal proportion, weight, and contrast. 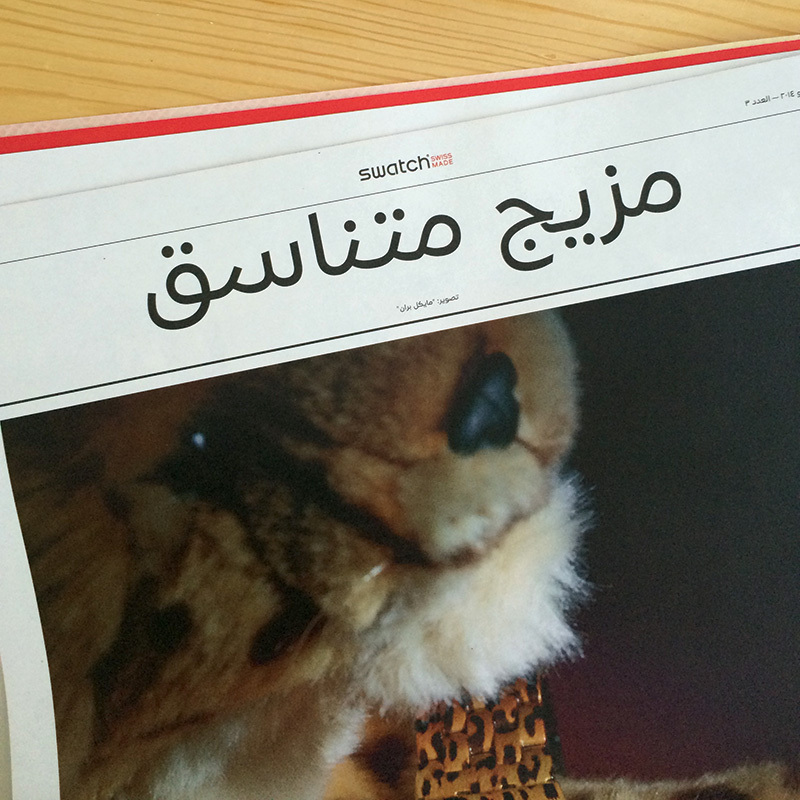 Pascal was keen on designing the Arabic to distinguish it from the other simplified Naskh fonts. 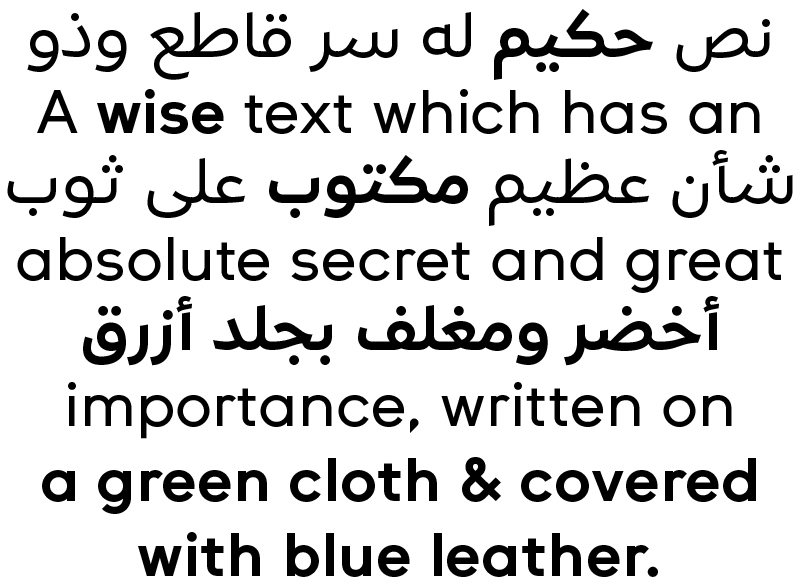 The Arabic glyphs are more organic then their Latin counterpart; nonetheless, the Swatch feel is present in both scripts and mimics the stylish and unique look of Swatch wristwatches. 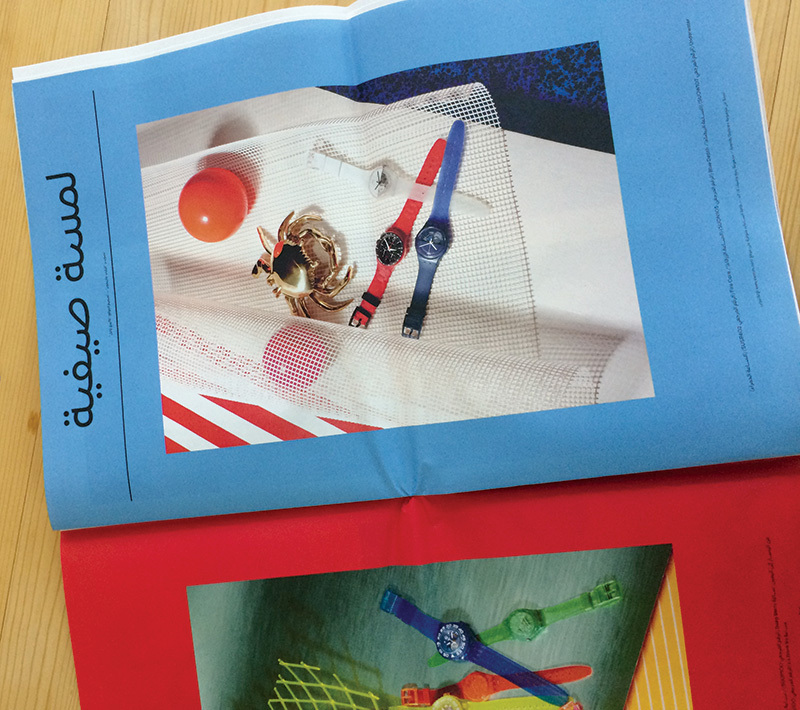 The collaboration of Pascal Zoghbi, Lebanese type designer, with NORM to create the corporate type for Swatch is symbolic because The Swatch Group was founded by Nicolas Hayek, Lebanese entrepreneur, who launched the brand in 1983 with remarkable success in Switzerland, culminating the end of the quartz crisis of the 1980s. It is important to note that Swatch CT is the typeface used for all Swatch publications and advertisements, which is totally different from Swatch’s logotype’s structure and design. educative and engaging, and let me tell you, you have hit the nail​ on the head.